We have been on an imaginary pilgrimage to the places where the Buddha was born and became enlightened. Our pilgrimage continues this week to Sarnath, also known as Sarnātha, the deer park where the newly enlightened Siddhartha gave his first talk. Sarnath is located in northeastern India in the Utter Pradesh province. The Buddha went there from Bodh Gaya, where he became enlightenment under the Bodhi tree, and then spent a period of weeks on his own savoring the experience of being fully present, freed of all fear and desire, and formulating his insights into something he could share with others, that they too might become enlightened. His attainment of enlightenment sparked a deep sense of generosity. And really, how could it not? If you come to realize the unity of being beyond any sense of barrier, how would you hoard this precious insight? Who would you hoard it from, if you understand yourself to be intrinsically entwined with all life? Tapping into this sense of connection we are not just recipients of awakening, but conduits for it. Generosity is the first and foremost expression of enlightenment, by its very nature. And it was a primary focus of the Buddha’s teachings throughout the years. Taking opportunities to develop generosity in ourselves creates the channel for the flow of enlightenment. Thinking back to Siddhartha’s initial exposure to the realities of life from which he’d been so carefully shielded, we remember that it was always his goal to understand suffering in order to find an end of it, not just for himself but for all beings. That generosity of spirit set his intention so that he could spend those years mastering the concentration practices. And that generosity also helped him to see that, at least for him, the path of the ascetic was not going to bring about the understanding he sought. Siddhartha Gautama was not the only person ever to be a Buddha. Buddha means awakened and there have been many buddhas. But this particular buddha turned out to have the interest and capacity to see, understand and clearly explain the complex workings of the human psyche. Anyone, upon awakening, might be inclined to share the news, but Siddhartha had a gift for formulating his experience and insights into words that resonated and in turn enlightened others. He went to Sarnath because this is where he knew he would find his ascetic companions of the previous six years. Despite any disagreement, he sensed that they were the most likely to understand his insights and attain enlightenment themselves. The fact that he chose them, not just any gathered group of people, points to the importance of the concentration practices. The ascetics had been practicing for many years, longer than Siddhartha. If anyone would be ready to understand, they would. But when they saw him coming, they are said to have mocked him. He no longer had the emaciated quality that was the mark of the dedicated ascetic. He had clearly been eating and he was fully, albeit modestly, clothed. He had not returned to his princely raiment but still, they taunted him for having set aside his ascetic vows. Reportedly, the Buddha replied, “Austerities only confuse the mind. In the exhaustion and mental stupor to which they lead, one can no longer understand the ordinary things of life, still less the truth that lies beyond the senses. I have given up extremes of either luxury or asceticism. I have discovered the Middle Way”. 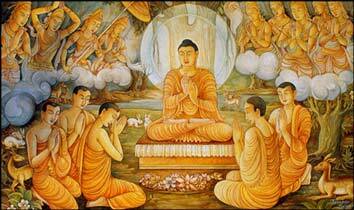 We have seen how Siddhartha lived the first three decades of his life indulged in every possible way. When he left that life behind, he chose the opposite extreme, a life of self-denial of even the most basic of human needs, doing only enough to keep the body barely alive. These two ways of being, these two extremes, have something in common. They both set up false beliefs and boundaries. When we surround ourselves with constant luxury, we run the risk of believing that we need luxury to live. We believe that material possessions will protect us from harm, so we make sure we are sufficiently buffered from all that we fear. But wealth does not protect us from illness, old age or death. It does not protect us from loss or heartache. And it puts us in a position of feeling we have more to fear, because we feel we have so much to lose. It also makes us feel fragile and vulnerable, as if the world outside our palace walls might infect us with some contagious virus. The more power we vest in wealth as protection, the weaker we become, and the more we lose sight of our true nature. So is enjoying luxury wrong? Not at all. The world is full of wondrous pleasures and being able to enjoy them is part of the gift of life. But we need to notice the degree to which we depend on them. Is my having a good sleep dependent on the thread count of my Egyptian cotton sheets? Is my feeling good about myself dependent on wearing designer labels? Is my enjoyment of a meal dependent on it being up to gourmet standards and served in a beautiful setting, preferably by someone else? Siddhartha’s youthful answer had to be yes, because the luxurious offerings of his time were all he knew. When he left the palace, he felt he needed to go to the other extreme in order to purify himself. But what happens at the other extreme? We run the same risk of believing that we need to scorn all the sensual pleasures of earthly life in order to be pure or good or enlightened. We believe that material possessions will harm us, so we fear contamination, making all pleasure evil, and all who take pleasure in the delights of the world evil or at least deluded. But self-denial does not protect us from illness, old age or death. It does not protect us from heartache or loss of something much sweeter than any earthly pleasure. And it puts us in the position of feeling we have more to fear, because we are so at odds with the world around us, a world that clamors to be touched and tasted. The more we believe that self-denial is the path to enlightenment, the more judgmental we become, both of others and of ourselves for the desires that rise up within us. So, having experienced both extremes quite fully, Siddhartha, in his newly enlightened state beyond fear and craving, recognized the truth of these extremes, and found the Middle Way. He discovered that he could eat a meal, enjoying each bite fully in the moment, without caring if it was simple or luxurious. He could enjoy giving his body the nourishment it needed and he could stop eating before his belly felt painful. He could accept what was offered with gratitude, and enjoy being able to give in return. He found a simple way of being in the world. When we observe other species who seem to have no problem finding a balanced way to be in the world, you have to wonder why this is so often such a difficult hurdle for us? Many books have been written on the subject, especially around eating, and I won’t go into it here today. But it’s certainly something to think about. Next time we recognize that we are over-indulging or over-denying ourselves something, let us set the intention to explore the associative thoughts and emotions that arise with our behavior and beliefs. Let’s question our assumptions and see what happens. His previous companions in asceticism became his first students. One in particular is said to have become enlightened upon hearing this first discourse. Thus the wheel of the dharma was set into motion. Together they formed the first sangha, that community of practitioners of the Middle Way who support and inspire each other to practice. They spent the rainy season in Sarnath, growing in number, and were disbursed to share the dharma with all who had an interest in learning it. This desire to share the teachings is social activism of a sort. Sometimes Buddhism can look like a very self-indulgent escapist kind of path. Social activists get very annoyed with Buddhists who sit and meditate instead of marching and protesting. The two are not mutually exclusive, of course, and there is the Buddhist Peace Fellowship and a whole path of what is called ‘engaged Buddhism’ that speaks to Buddhist social activism. If you are interested in it, read Donald Rothberg’s book The Engaged Spiritual Life: A Buddhist Approach to Transforming Ourselves and the World. But I think it’s worthwhile to notice that making our own peace is a vital first step to seeing clearly how to best help end suffering in the world. How often in organizations that have all the best intentions do things get bogged down in personality conflicts, striving for power, passive-aggressiveness and hurt feelings? How much of the agenda of activist organizations is reactive, a group of people united by anger against some agreed upon ‘other’, rather than insightful and responsive to the needs of the people they want to help. However, as with most things, there is a kernel of truth in the accusations social activists make about Buddhist practitioners. You see the truth of it when those who have found peace within themselves, who have come to live more fully in the present and have found the Middle Way, continue to keep the focus solely on themselves and their own contained world, instead of acknowledging their connection with the world and using their wisdom and skills to help end suffering for others, as they have done for themselves. So that is something for us to always keep in mind and to question. How are we expressing our generosity? How are we engaging in the world with our understanding of the dharma? How are we supporting the extended sangha of all beings through our actions? We ask these questions and perhaps the answer is “It’s too soon, I’m not ready.” But we need to explore further. Even if we are not ready to go forth in the world in support of a larger sangha, we can in our daily activities extend metta in our thoughts to all we encounter. And this is the valuable beginning of engaging in the world. This act of sending metta is the channel of generosity through which enlightenment will flow. 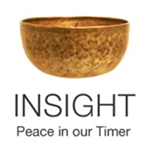 This entry was posted in Buddha, engaged buddhism, enlightenment, first teaching, generosity, middle way, pilgrimage, sarnath on May 7, 2010 by Stephanie Noble. We are on a four-week imaginary pilgrimage to the places where the Buddha was born, became enlightened, embarked on teaching and ultimately died. Last week we talked about the birthplace of Siddhartha Gautama and what a sheltered life he is said to have lived in his youth. We talked about the effects of labeling and sheltering in our own lives, and how important it is to become aware of these labels and this tendency to shelter ourselves from the truth of illness, old age and death. The second place on our pilgrimage is Bodh Gaya, a town of about 30,000 residents in northeastern India, where stands what is said to be a descendant of the ficus religiosa or Bodhi tree under which Siddhartha meditated and awakened. I derive inspiration from the fact that right behind me here in the room where we meditate is a ficus tree, some very distant cousin of that Bodhi tree. It is a part of our little sangha, serving to remind us that this awakening is possible for all of us. This particular tree is about forty years old, and was given to me by a neighbor whom I helped escape from her abusive husband. She knew the tree would dry up and die if she left it with him, so she gave it to me before I drove her and her infant son to the airport. I think of the violent atmosphere in which this tree spent its earliest years before coming into our home over thirty years ago. It didn’t have a sheltered early life, just as some of us didn’t. I tell you about this tree, because as we sit here week after week, it holds the space for our practice and in some way I think our peaceful coming together nurtures it as well. If your early years were emotionally turbulent, perhaps this little tree can be a reminder for you, that ending suffering does not depend on a peaceful past. When we left off our story last week, Siddhartha had discovered that the world was a very different place than he imagined. It was not all youth, health, beauty and opulence. He discovered that there was also illness, old age and death. But remember that on his fourth venture outside the palace walls, he met a wandering ascetic, a person who had renounced the material world to pursue enlightenment. And Siddhartha felt called to follow this ascetic path. He left his home and family, traded in his luxurious clothing for rags and chopped off his glorious mane of hair. He walked away from everything that had defined and supported him. He walked away from all that supported the illusion that had distracted him all those years. He yearned for the truth, however painful it might be. We discussed last week that when he left his home he was said to be 29 years old, which is around the time that many of us make some kind of venturing forth into an unknown. For some of us this was quite literally changing of the worlds. Two of you mentioned getting married during that period of life – talk about venturing into the unknown! But even if we didn’t physically venture forth, we may have had an internal shift, as I did with my awakening to my second-class status as a woman. I had accepted it as the way of the world, and was shocked to find that it was not necessarily so. I was upset with myself that I had been so complicit in maintaining that status quo. Siddhartha may have felt his own complicity and anger at his acceptance of the indulgence that he experienced when it turned out the world was not all like that. He may have felt duped, as I felt duped. He may have felt lulled to sleep as I felt lulled to sleep in my acceptance of limited job opportunities. (Remember when the classifieds divided job openings into separate categories for ‘Men’ and ‘Women’?) I accepted that men defined the world I lived in and that I would not have a say except to cast my vote, a relatively recent privilege, but not to speak out and certainly not to run for office. I was complicit. I bought it. It felt normal. In so many ways I won’t go into here, I awakened to how the wool had been pulled over my eyes, and I’d woven the wool into a life for myself, accepting it as my due. I imagine that Siddhartha too had fully enjoyed and accepted as normal the life he was given. I imagine he too was shocked, angered and awakened. And once he knew the truth of the suffering in the world, he recognized the suffering in himself for what it was, and could no longer keep his wool blinders on. So he set forth on the path that seemed the most likely to teach him how to end suffering. It was an extreme path. Ascetics practice austerities, varying degrees of self-denial and deprivation as a way to attain states of ecstasy. They give up all the pleasures of the outer world to achieve the joys of the inner world. People still experiment with this kind of thing today, using sensory deprivation chambers or isolation tanks to remove external stimuli. Individual senses can be reduced using blindfolds, hoods or ear plugs or sound reducing earphones. We know now that the brain, lacking stimulus, will start to create its own in the form of hallucinations. This could be a part of what the ascetics were experiencing. They were also very rigorous in a variety of concentration practices. Siddhartha was earnest in his aim, and practiced asceticism for six years, rapidly mastering incredible feats of concentration practice, learning the various disciplines that were meant to lead to enlightenment. But he still had not found the root cause of suffering and that was his true goal. One day he was offered rice milk by a young girl, and he accepted it. Taking this simple offering was a pivotal moment in his life. For his ascetic companions it may have been seen as failure, a giving in to bodily desire. But for Siddhartha it was clearly not a loss of resolve, but a purposeful step on his own path. Setting intention is something we practice every time we sit to meditate. Right Intention is part of the Eightfold Path. We set the intention to notice whatever arises and to hold whatever it is, in an open embrace. And this is how Siddhartha sat, as he was taunted repeatedly by the tempter Mara. Who is this Mara? Mara is every inner demon that tempts or terrifies us, telling us we are unworthy or telling us we deserve special treatment. Mara is every craving that demands to be fed immediately, right now, and hurry it up! Mara arrives with a sense of urgency and makes demands that overwhelm us, leaving us weak and helpless to do anything but what Mara wants. Siddhartha knew Mara well. He had spent six years noticing Mara’s ways, so sitting under the Bodhi tree, he was able to greet Mara as an old friend. We all have friends that we care about but who get up to shenanigans of trying to lure us into unskillful behavior. Siddhartha knew Mara to be not some alien being, but just such an unskillful friend. When we try to make Mara other, instead of acknowledging it as something much more close and personal, we feel helpless to deal with it. But when we go the other direction and see Mara as self, the way we see and define ourselves, then we are also helpless to deal with it. Long before I studied Buddhist teachings, from my own personal experience, I wrote about the various aspects of self that out of fear rise up and demand my immediate and unquestioning devotion that result in unskillful behavior. I learned to recognize the different tone of voice these aspects have, how caffeinated they seem, how much their presence drains me. And I found my own way to make friends with them without giving in to their demands. I came to understand that each one wants what is best for me, but each is misguided and unskillful, rooted in fear, and thus not to be relied upon or followed. I learned how to have a respectful dialog with them to uncover their deep-seated fears and to negotiate a compromise that would assuage these fears but still be skillful. A perennial favorite that I have shared in the past is ‘Slug’, that aspect of self that had no interest in exercise. He saw bed as a big mommy hug and he missed his mommy. When I understood that, I was able to negotiate taking a yoga class from a woman the age my mother would have been, had she lived, who, at the end of class, tucked us all in with cozy blankets. Slug got his needs met, and didn’t complain when I later started other more athletic exercise. So with this background, of course, I was fascinated to find that what I had discovered on my own was in fact an intrinsic part of the teachings of the Buddha. Siddhartha knew Mara well, and knew that Mara felt threatened by his intention to become enlightened. For what is enlightenment, but the freedom from the kinds of fears and desires that are Mara’s stock in trade? Mara tried and tried to lure Siddhartha away from his intention, to unseat him from his solid foundation of mindfulness. But Mara could not seduce him because Siddhartha accepted Mara and saw his offerings for what they were – distractions that played on his fears, his longings and his restless boredom. We all know Mara, and yet so often we act as if we don’t, as if this new offering is truly worthy of our grabbing, pushing away, reacting, entangling, battling or submerging in. Each thought that passes through our mind can be held in an open friendly way, or it can overtake us like a powerful wave that catches us unaware. In some cases it beats us down and drags us along the rough pebbled shore of oblivion before we can find our footing and drag our weary selves back onto dry land. Maybe we should stop listening to Mara and start listening to Marianne! So when Mara said to Siddhartha, “Who are you to be enlightened?” it was tapping into the deepest most universal fear. And what did Siddhartha answer? So indeed “Who are we not to be” whatever rises up within us as an authentic expression of ourselves. If we feel called to something, as for example, I felt called to teach meditation, it helps to remember that not everyone wants to be a teacher, not everyone feels this upwelling to do this particular thing. They may feel an upwelling call to paint, or to invent, or to sing, or to get involved in the intricate tasks of bookkeeping or organizing, or to march for justice or peace, or to run for office, or to help the homeless, or to do any of a myriad of things. So when Mara asks me ‘who am I to’ do what I do? I can feel the earth beneath me and be reassured that I am just like the ladybug on a leaf, doing what comes naturally. When Siddhartha touched his hand on the earth, for me he was calling on that earthly truth. We each have an inherent right to exist, because we do exist. And we have to trust that when we stay in touch with the earth and with our own natural forms of expression, we have a right to be who we are, where we are, doing exactly what we are doing. And anyone who questions this right, is really questioning it in themselves and projecting it upon us. We are not saying that they have to believe us or even listen to us or look at our paintings or trust our addition on our accounts. We are only saying we have every right to be ourselves. Having withstood every undermining sabotaging attack by Mara without losing his resolve, Siddhartha awakened. In an enlightened state we see that time is just useful scheduling software, not a hardwired truth. We see how each moment is complete and expansive when we allow ourselves to be present for it, to sink into it, to use all our senses to absorb it into our awareness. We see this earthly life of the senses as a gift and a profound education in experiencing cause and effect and impermanence. That’s my best guess at how to describe enlightenment. But I also know that there is no description that will reveal it, and no way to experience it through any description. Some teachers teach that enlightenment is not likely to be attained by any of us in our lifetimes. Some teach that enlightenment is possible in any moment. Some teach both. I don’t find a contradiction in any of this. Teachers know how easy it is for us to get very goal-oriented. We have a lifetime of training to keep our eye on the prize that looms in some distant future. Naturally if we believe that enlightenment is the ultimate goal and that we are aiming for it, we will be leaning into the future and not able to stay fully present, thus unlikely to ever become enlightened! A catch-22 if ever there was one. So, enlightenment is not the goal of meditation? No. Enlightenment, should it happen, is a potential side-effect of the ongoing process of practicing staying present. The door to an enlightened state is not someplace in the distance, but in the ability to be fully here, now and relaxed. So we practice this because being here, now and relaxed is in itself a gift and worthy of our intention, effort and concentration. 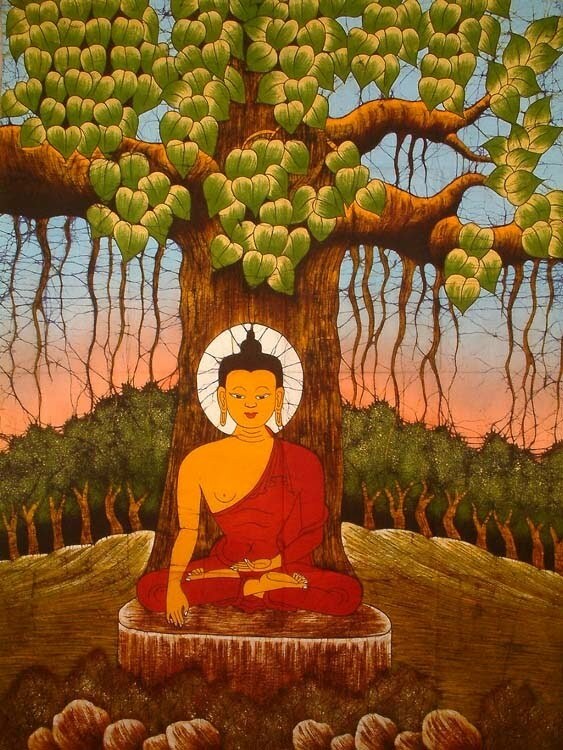 Siddhartha’s awakening under that Bodhi tree was not as instantaneous as it may seem. He had, after all, six years of intensive concentration practice to build on, so that he was available and ready for the insight that led him to sit under that tree, and the clear intention to stay there as long as it took. As long as it takes. That is important for us to remember. No cut off dates, no ultimatums, just clear intention. Let that be our inspiration to practice, practice, practice, developing the ability to focus in a relaxed receptive way, developing the ability to be fully present. May our relaxed present spacious minds know Mara in all its forms. May our relaxed present spacious minds greet Mara, knowing it is not something outside of us, but our own fear, our own craving, our own desire for happiness in a state of constriction and distortion. The other day at Trader Joe’s while Will was standing in the checkout line, I wandered the candy aisle, reading the label of each chocolate bar, lusting, yearning, yet terrified of purchasing it. I could feel how much power I was giving away in that moment, but I also knew that if I just stayed with those feelings instead of letting them thrust me into action, I would be okay. So I just kept wandering the aisles, indulging in all the powerful emotions until it was time to go. Maybe another time I will be able to buy one and practice having it around, unopened, but I sensed I wasn’t ready that day to do so. Mara is not the chocolate but our fear of what will happen if we buy it, coupled with our strong desire to do so. May our relaxed present spacious minds hold Mara in an open embrace until the fear and craving dissipates. May we be well. May we be happy. May we know peace. This entry was posted in Bodh Gaya, Buddha, enlightenment, http://schemas.google.com/blogger/2008/kind#post, Marianne Williamson on April 29, 2010 by Stephanie Noble.